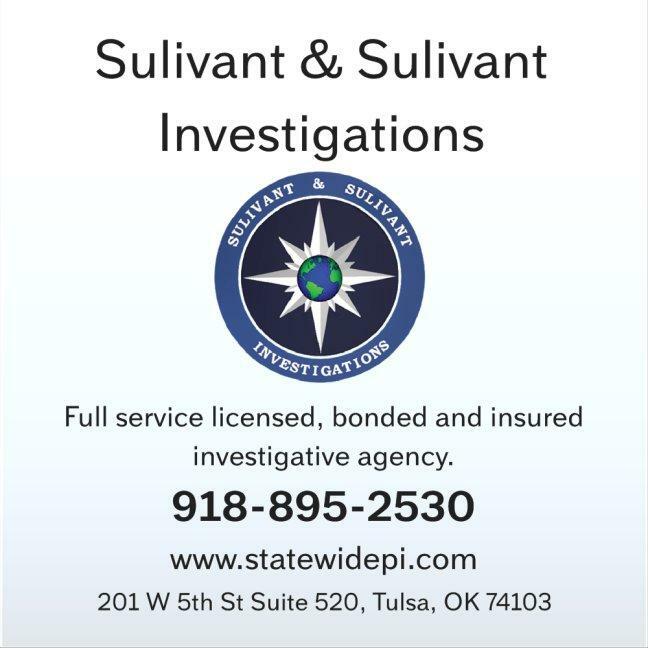 Sulivant & Sulivant Investigations is a full service licensed, bonded and insured Oklahoma private investigative agency. We have a network of Oklahoma licensed, bonded and insured private investigators with the experience, training, resources and specialization to meet all of your investigative needs, and are dedicated to conducting a professional, thorough and expeditious investigation of every case, every time. Your confidentiality is important and we treat each clients confidentiality with the utmost importance. We will treat each situation with a personal quality.